Did you know that before dentists, people were using essential oils? 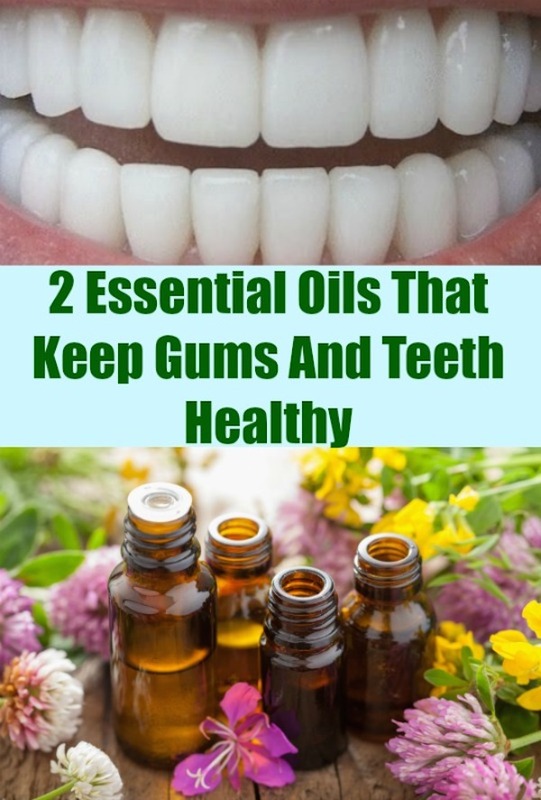 These 2 Essential Oils That Keep Gums And Teeth Healthy are very effective.Taking care of our teeth is extremely important. This is why I am sharing with you an awesome natural way to keep our teeth in excellent shape. If you follow my blog, you know that I am a huge believer in natural medicine and nutrition. Are you concerned about the use of fluoride? I don’t blame you. You probably hear a lot about it lately. Many doctors say it is completely safe, but there are a significant number of studies that show otherwise. Like this Harvard study that confirms fluoride reduces children’s IQ. Studies Have Repeatedly Linked Fluoride to Reduced IQ and Brain Damage. Fluoride is everywhere! Mainly in your drinking water. I highly recommend a good water filter. I have a berkey filter at home and just love it. And the water tastes so good too. If you want more information, please read my postTap Water Disgusting Facts You Should Know. Drinking pure water is one of the best things you can do for your health. My gums have been bleeding a little lately, so I started researching about natural ways to keep them healthy. And I found out these 2 essential oils that keep gums and teeth healthy. The best part is that they are natural and very effective. So, if you want to stay away from fluoride as much as possible, even when taking care of your teeth, I have a great natural alternative. The information was taken from a 2014 study published in the Journal of International Oral Health. Essential oil rinses are found to be very effective in inhibiting plaque. A study on plaque inhibitory effect of amine fluoride/stannous fluoride and essential oils showed no significant difference in efficacy of both. As chlorhexidine causes staining of teeth on long term use, essential oils can be used as an alternative to chlorhexidine rinse. Essential oils have shown to possess antimicrobial activity against subgingival periopathogens too. Tea Tree Oil effectively reduces bacterial, yeast and fungal infections. This great essential oil also treats viral infections, many of which are to blame for tooth pain. Tea Tree Oil is antibacterial, antifungal, antiviral, and relieves the symptoms of gingivitis. Researchers at Switzerland’s Institute of Preventive Dentistry and Oral Microbiology studied the effect of tea tree oil on bad breath. They concluded that tea tree oil decreases the bacterial colonies that cause halitosis, giving you fresher breath. Clove Oil is one of the oldest remedies for tooth pain. Thanks the ingredient eugenol, it has been used for centuries to anesthetise patients suffering from tooth ache. Eugenol has antioxidant and anti-inflammatory properties that will also help keep your teeth healthy besides relieving pain. 1. You need to have the two oils available: tea tree and clove essential oils. Make sure you buy good quality essential oils, it is extremely important for effectiveness. 2. Apply 2 drops of each of these oils twice a day with a carrier oil for best results. I love using coconut oil . Rub the two essential oils straight into your gums or use them to brush your teeth. You can use your fingers to massage your gums gently in a circular motion. Do this for about 2-3 minutes. The antibacterial properties of these 2 essential oils will also help prevent cavities, gingivitis, bad breath, and tooth decay. I usually do this in the morning when I wake up or before going to bed. I have been doing this for about a week and I really notice an improvement. My gums are no longer bleeding when I brush my teeth. Make sure you also floss daily. Hi Ursala, I like your blog post. I do recommend caution with clove oil. It’s a ver “hot” oil and can burn the soft tissue inside the mouth. I personally use a Neem & Tea Tree toothpaste that works great. The clove oil I have is very pure, so I dilute it in distilled water – 1/4 ounce oil to 8 ounces of water. IT make a great mouth rinse. Anyway, always include safety concerns with essential oils, especially any used around children. Thank you David. Very helpful information! Great, i really like your blog because it is very helpful for me. You are right by using Tea Tree oil and cloves oil we save our teeth from any type of emergency dentistry issues. Make sure you buy good quality essential oils.Healthy teeth are necessary for our health. Thank you so much for your comment. I love Plant Therapy essential oils! What do you mean by a “carrier oil” I can’t quite work that out. .And how much ” carrier oil” do I use with these other two oils .